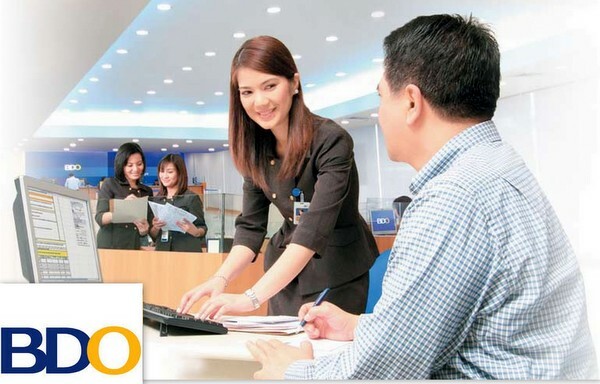 BDO Unibank Inc. (BDO), the main banking arm of the SM Group, has improved its ranking in the world’s top 1,000 banks list, according to a report by UK-based banking and finance magazine The Banker per a recent article in philSTAR.com Business. 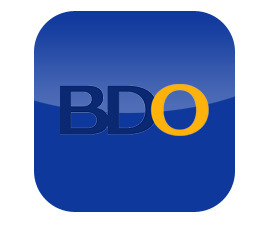 Based on the report, BDO now occupies the 251st spot from 396th place in 2012, or 145 notches higher. The Banker said the improvement in BDO’s ranking is on the back of an enhanced overall performance, particularly in terms of capital, assets and profit. For the Philippine country listing, BDO secured the number one spot, the publication said. The Banker’s Top 1000 World Banks ranking has been setting the industry benchmark since 1970, providing comprehensive intelligence about the health and wealth of the banking sector. The report enables investors and clients worldwide to assess the strength and weakness of the banks, identify banking partners for the future, and track the big movers and new arrivals in the sector. BDO has been one of the most profitable banks in the Philippines, more than doubling its net income in the first half of 2013 to P14.1 billion from P5.8 billion in the same period in 2012. Full disclosure. My asawa and I do use BDO as our bank in the Philippines but I'm in no way reimbursed by them for running favorable stories about their insititution. Made a recent visit to our branch in Iloilo City to receive my monthly remittance from our bank in the States. We use XOOM. To my dismay, "Rush," the teller that handles remittances, informed me that their system has been down (for two days) and it might take one to two hours to process my request. "It's OK, " I said. Something I would have never stated back in America if I faced such a delay from my bank there. "I will wait. My asawa is at The Surplus Store shopping. That will give her a chance to buy more stuff." I sent a text message to my wife. Again, something I would have never done in the USA. Back in Illinois, I would have picked up my cell phone and call. Way too difficult to tap out text messages with my fat fingers. But it's cheaper to text here than to call, so I text a lot more in the Philippines. And then "Rush," who has no idea that she was named after a Canadian rock bank, informs me that my remittance has already been processed. "It's your lucky day, sir!" she tells me. She was right. Didn't have to wait. Got more money on my Philippine Peso to USD exchange, and I would be able to cut my asawa's shopping spree short. Life is good. Remember, whether or not you have BDO as your bank of choice or not, "it's more fun in the Philippines." Right, Gary? I would think the main reason BDO is Number One here in the Philippines is because they are the money behind all the new SM Malls being built. Lots and lots of new malls. Even one here in Tagum City! Yep, since BDO is a division of SM, Gary, they’re all over the Philippines and doubtless have the most banking outlets. Congratulations on the new SM in Tagum City. Now if we could just get one built in Guimaras life would be even better. Have heard rumors of an SM being built in my wife’s home province, but at this point, that’s all it is, rumors. Sounds like BDO is where we will be opening an account one day. Just wandering, but what is the process of your scheduled monthly transfers from US to PI.? Do you have it set up with Xoom to automatically do the transfer on a selected day each month, or is it done by your BDO branch bank. Also, when the time comes you will need much larger amounts than what Xoom typically handles, for your house and land buying, what way do you transfer those larger amounts from US to PI, and what kind of fees do you have to pay, and also do they take a small amout for the transfer like Xoom does by adjusting the actual exchange rate to compensate themselfs for their service. I don’t have my monthly transfers automatically transfered with XOOM, Bill S, though I have that option. XOOM fees? 4.99 USD up to $2,999 USD plus a lower exchange rate to compensate for the low fee. If the rate is 44.37, for example, XOOM will give me approx. 43.37. I checked Western Union and their peso payout is about the same. When we get ready to build our new home, we will have a dollar account in the Philippines set up and write a check on our American bank and cash it at our PH bank. Depending on the bank, that check could take 7-30 days to clear. Thanks for the info Dave, I have used Xoom several times myself. Now, when you do the dollar account from bank to bank, do you know what kind of charges will apply, or do you get an actual dollar to peso exchange rate of the time is actually sent. International banking is all new to me Dave. Hope the preperations for the big move are going smooth. Have moved many times myself, but we didnt use any jeepyneys here,,,remember the good ol days, of Ryder and U-haul? Am researching on how to accomplish the big move in apx. 4 years from US to PI. Am looking foreward to it in many many ways, and in many ways, not so much looking foreward to it. Am currently packing my second ever, Balikbayon box for the upcoming Christmas season, which I am guessing has already started there since it Sept. already. I don’t have a dollar account yet, Bill S. Only a peso savings account. I will set up my dollar account once I start receiving my Social Security. As Gary mentioned, there is a flat fee for the transfer from the bank in the States to a bank in the Philippines. Each bank posts the current exchange rates and I always check the exchange rates online beforehand. Finding a truck for the move is the biggest challenge, Bill. Our porter, Lang Lang, at Ortiz Dock in Iloilo, told me he knows someone with a truck. A relative in Guimaras has an enclosed delivery truck which would be perfect once my asawa contacts them. I recommend Balikbayan boxes but highly encourage anyone to send as much stuff as they can with them. In retrospect, I would have shipped all the tools from my garage. You will discover that the quality of some of the tools here are not up to American standards. BPI has a 6.00 fee to move my SSA money to here in the Philippines. The rate was 44.23 pesos to one dollar. Thanks Gary, Unforunatly I am quite a few years away from being able to recieve SSA. Does that same fee apply for other types of bank transfers also, or just SSA. Thanks, Gary. I’m looking to open up a BPI account before my first Social Security payment is made. I appreciate the info. 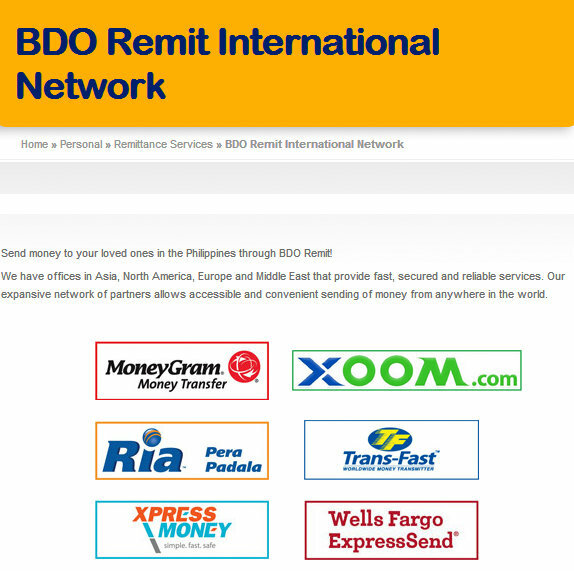 We've tried using BDO ATM card internationally twice and both times would not work. No problems in yhe Philippines with it though. Yep, we used our international ATM card from our bank in the States for three years before it expired, Papa Duck. Only problems we had were when a brown out hit Iloilo. Guimaras did not have any ATM’s we could use so we always had to make the pump boat trip to Iloilo when we needed access to our funds. No BDO outlet in Guimaras nor is there any bank we fely comfortable dealing with, so we will again be taking the pump boat to Iloilo once we make our move back to Guimaras next month.